Look around a bit and you’ll find a lot of early efforts to define instructional design for virtual reality. You’ll also find a lot of us struggling to figure out just what to do with this new platform …ecosystem …entity, whatever we call it. As almost always happens, we tend to bring what we know – instructional design for the flat, sequential training environment – and apply it to a totally new use case. Virtual reality changes …err… well, reality. It redefines the user’s entire reality, at least for the duration of their experience in the virtual space. And there you have it: VR is about “experience” that occurs in “space,” however we may define that. Wrestling with the non-linear nature of virtual reality is a major stumbling block to its adoption as a training tool. Most training is inherently linear: It begins at Point A, then progresses through B, C and D, ending with a summary or or specific output resulting from the process. Often step-by-step, training unfolds before the learner in an orderly and carefully structured line or sequence. Other training is of course inherently non-linear. It is designed to prepare learners to encounter an event or experience that is by nature messy or unpredictable. Powerpoint, by its nature, fits the first kind beautifully. If you’ve sat through at “Death by Powerpoint” presentation, you know this all too well. In 2006, Drs. 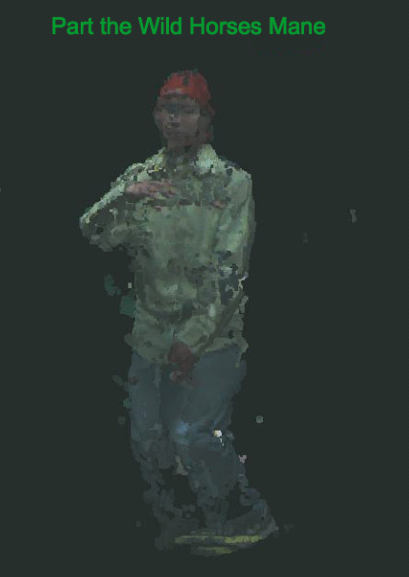 Kayur Patel and Jeremy Bailenson and their colleagues published a paper called “The Effects of Fully Immersive Virtual Reality on the Learning of Physical Tasks” in Media Psychology (Vol. 11, No. 3, 354–376). 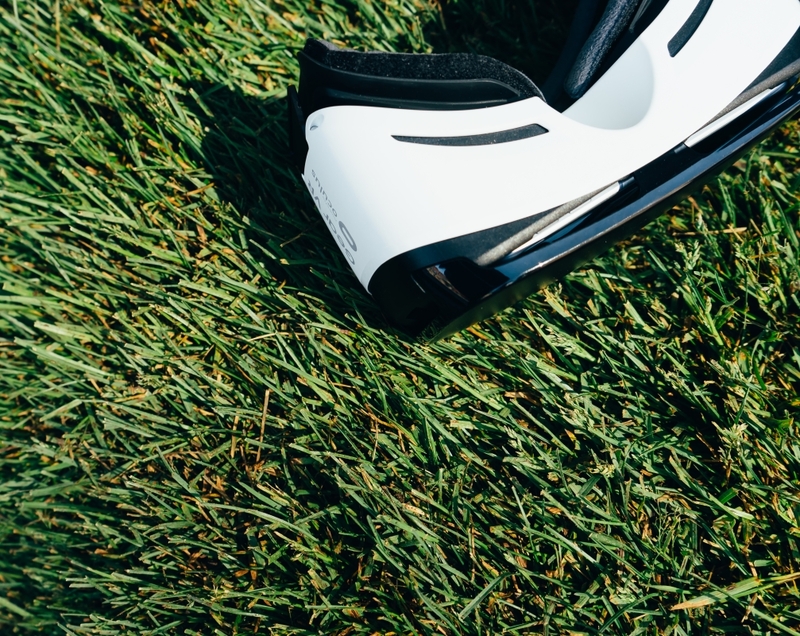 The purpose of the article was to compare virtual reality with standard video as a training tool for teaching physical skills. It is widely cited in academic literature as a foundational work in the study of VR for training. In it, the authors concluded that VR is a more effective method for teaching physical skills than traditional two-dimensional visual learning. As the holiday season dawns, big retailers like WalMart brace for the most stressful – and most profitable – time of the year. Key to their success: Employee readiness. 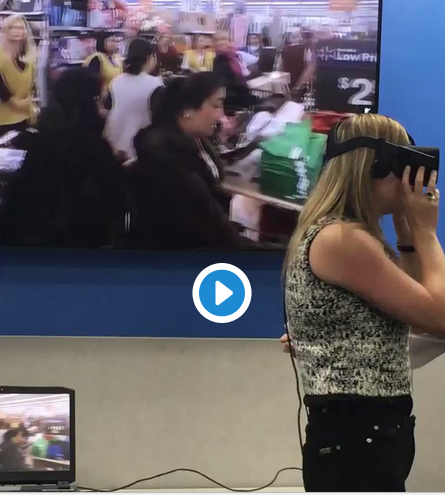 This year, the retail giant has teamed with VR startup STRIVR to prepare employees using 360 video-based training. 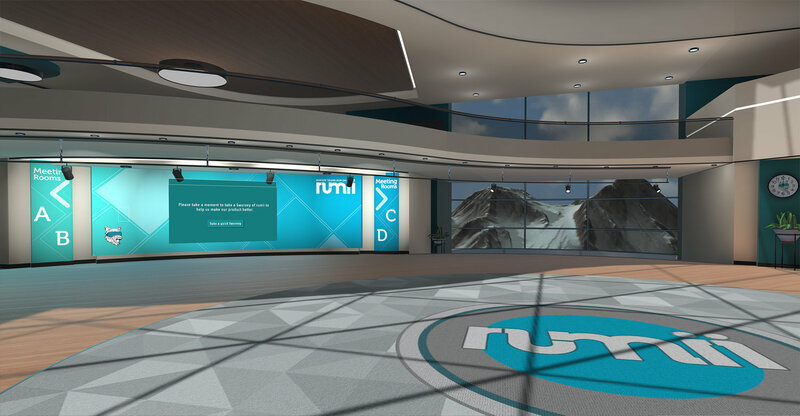 With the debut of its enterprise VR collaboration tool, rumii, Doghead Simulations may have give us a peek into the future of space-shaping VR for training. 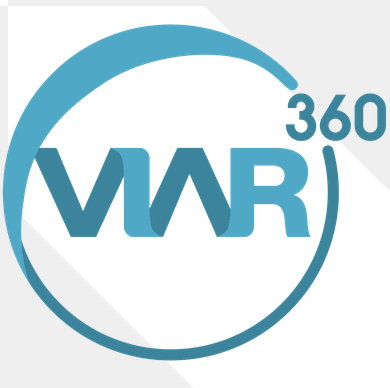 Anything that could be done in a conference room or tawdry hotel meeting facility can now be done using VR. The promise: Use VR to learn skills on the fly. The dream: Learn a new cooking skill in VR. Google’s Daydream Labs recently took a step toward learn-by-doing in VR. 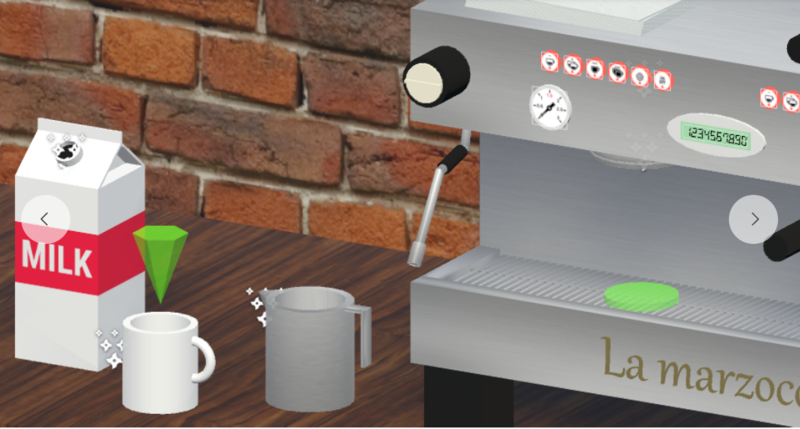 It set up a VR training experiment to teach coffee making. 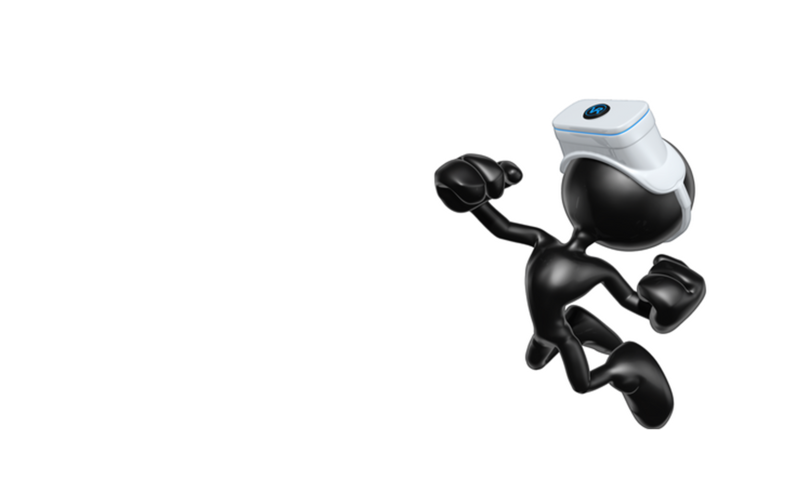 The new Virtrain.com, VR for Training … It’s almost here!